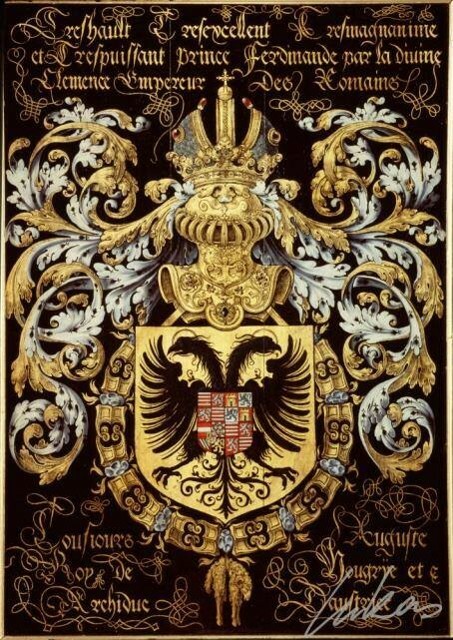 Imperial Count (German: Reichsgraf) was a title in the Holy Roman Empire. In the medieval era, it was used exclusively to designate the holder of an imperial county, that is, a county that was a fief held directly (or immediately) from the emperor, rather than from a prince who was a vassal of the emperor, such as a duke or prince elector. These imperial counts sat on one of the four "benches" of Counts, whereat each exercised a fractional vote in the Imperial Diet until 1806. In the post-Middle Ages era, anyone granted the title of Count by the emperor in his specific capacity as ruler of the Holy Roman Empire (rather than, e.g. as ruler of Austria, Bohemia, Hungary, the Spanish Netherlands, etc.) became, ipso facto, an "Imperial Count", whether he reigned over an immediate county or not. Imperial count as a holder of a direct Imperial fief: The holder of a County held directly from the Emperor, which was therefore not subject to any other secular authority, was called an immediate (German: reichsunmittelbar) Count. This particular political position was formed in the Middle Ages and lasted until the dissolution of the Holy Roman Empire of German Nation in 1806. Origins: In the Merovingian and Franconian Empire, a Graf ("Count") was a royal official who exercised the royal prerogatives in an administrative district (Gau or County) or who was the representative of the King or Emperor in a certain area (a march, royal castle, imperial palace or royal estate). 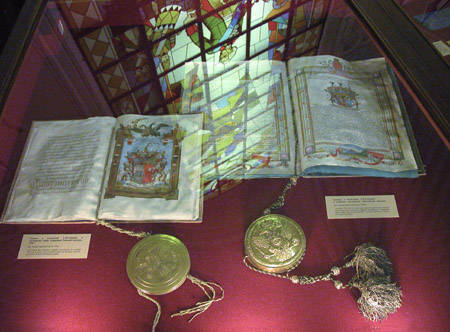 Originally the counts were ministerialis ("service nobility"), but under the Ottonian emperors, the title became hereditary and the feudal system was gradually integrated with the hereditary nobility. A count who held his fief directly from the Emperor was an immediate Count (German: reichsunmittelbarer Graf) and had a seat and a vote in the Imperial Diet. Power and Political Role: A seat and a full vote in the Imperial Diet made a count "immediate" and a member of the highest estate. In 1521, there were 144 imperial counts; in 1792 only 99 were left. Reasons for this decrease include elevations to a higher title, extinction of the male line, and territories being mediatized by more powerful imperial princes. Imperial counties were most numerous in Swabia and Franconia, and also in the north-western part of the empire. End of the Imperial Immediacy: In 1806, with the Confederation of the Rhine Act and the dissolution of the Holy Roman Empire of German Nation, all immediate counties were mediatized and annexed by neighbouring states. At the Congress of Vienna, it was decided that the affected families would keep their noble title and their status as equal in rank (ebenbürtig) to sovereign ruling families. A few counties had been elevated to principalities by Napoléon Bonaparte. Most of these were mediatized by the Congress of Vienna; a few survived as principalities until 1918: Lippe, Schaumburg-Lippe, and Reuß (in several lines). 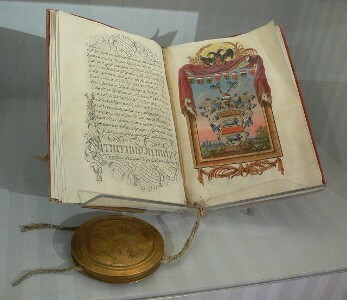 Grant from 25 September 1789 to Marshal A. V. Suvorov of the Title of Count of the Holy Roman Empire as an award for his victory over the Turkish Army on 25 September 1789 at the town of Rimnike. Imperial Count as a holder of a Title valid throughout the Empire: Those counts who had received their title by patent from the Holy Roman Emperor or an Imperial Vicar were also considered Imperial Counts. A title created by the Emperor was valid throughout the Empire and did not need acknowledgment by the imperial princes, unless stated otherwise in the patent. A title granted by another sovereign was, in principle, only valid in the country ruled by that sovereign. An Elector of Brandenburg, for example, could only grant titles valid in his lands and territories. An Emperor from the House of Habsburg could either (in his capacity as Regent of the Habsburg hereditary lands) grant an Austrian title or (in his capacity as Emperor) an imperial title. Titular imperial counts usually had no role in the ruling of the Empire, although there were exceptions. Sometimes, when a prince wished to marry a lady of lower rank and wanted to avoid a morganatic marriage, the Emperor might be willing to elevate her to Imperial Countess, typically upon payment of a fee.